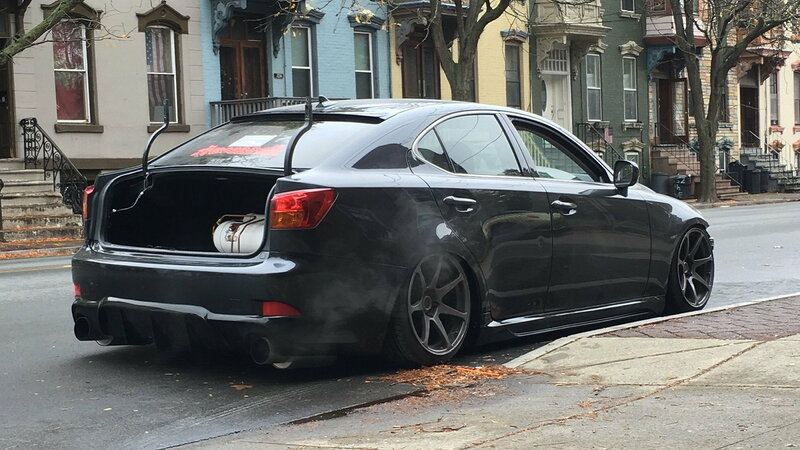 Daily Slideshow: This Lexus IS just wants to sit low. Since the beginning of time, hot rodders have been lowering vehicles. Mostly because, well, it looks cool. Of course, lowering a car also sits your car's mass closer to the ground, improving handling. But Club Lexus member LC_Ryan doesn't care much for that kind of stuff. He just wanted to make his IS sit as low to the ground as humanly possible. Of course, things started out rather modestly, as they often do. 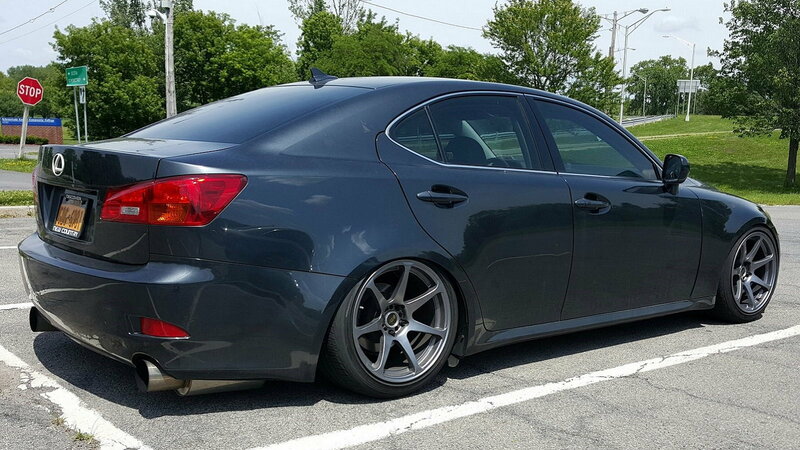 The OP's first mods were an HKS axle-back exhaust and BC coilovers. 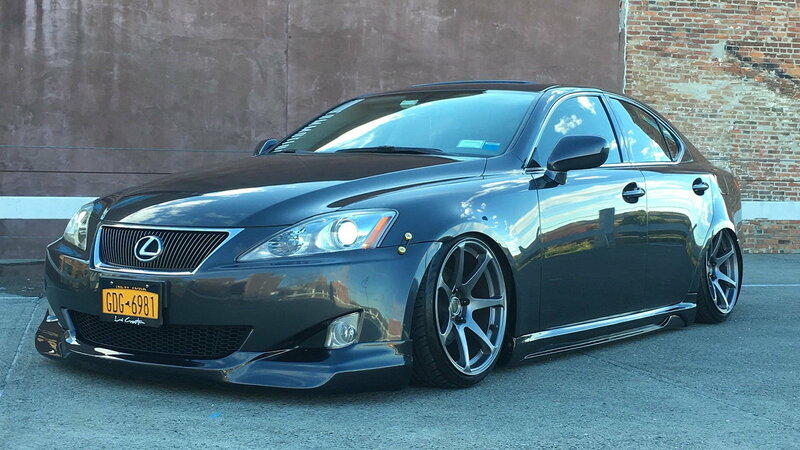 But his next one was a doozy - a full 4GS F Sport conversion that turned out to be a lot of work thanks to some hidden damage. 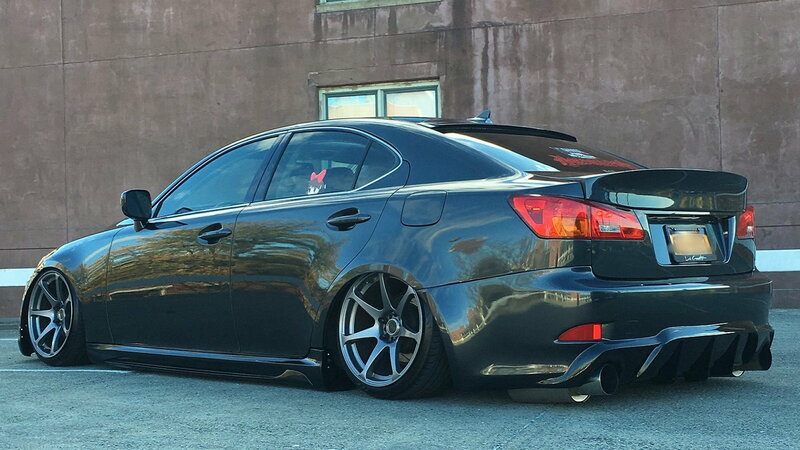 >>Join the conversation about this Slammed IS 250 right here at ClubLexus Forum! Next up, a set of MB Battle wheels measuring in at 18.9.5 with a +33 offset. The OP had to roll and pull the fenders to make them work, but it was certainly worth the trouble. Unfortunately, a run-in with a curb (his mom's fault!) undid that nice upgrade. But then, it was time for the pièce de résistance - an Air Lift Performance 3P air ride setup. 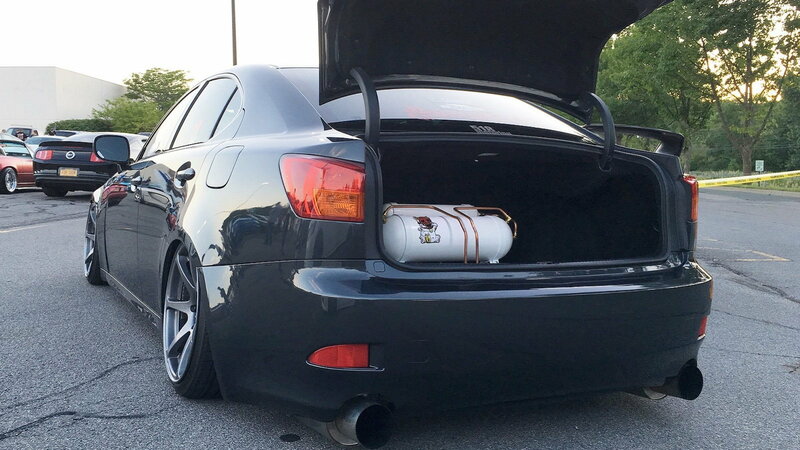 The trunk setup came from another member, which honestly, looked pretty awesome to begin with. But a leaking tank gave the OP some thoughts on changing things in the future. Thus, the OP soon redid his trunk area with matte white tanks and brushed copper lines and mounts. With a black floor, things were suddenly looking ultra classy in the boot of this IS. With all of that stuff buttoned up, it was time for some much-needed visual mods. 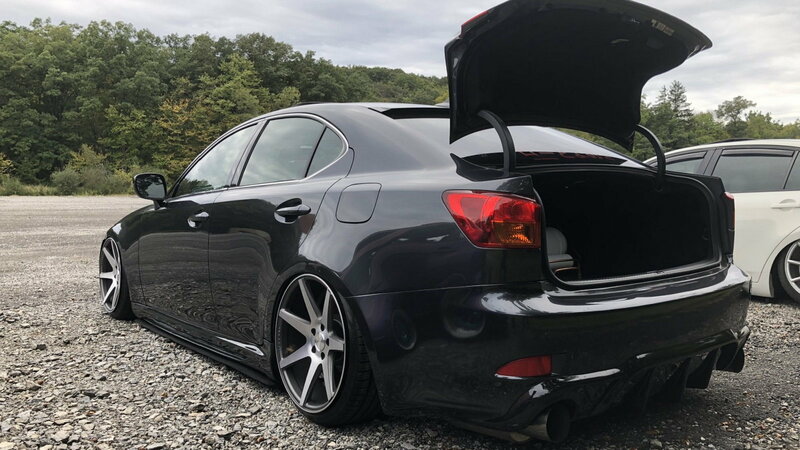 So the OP sourced and installed a new rear bumper, WALD diffuser, side skirts, and a front lip to give his IS some extra appeal. 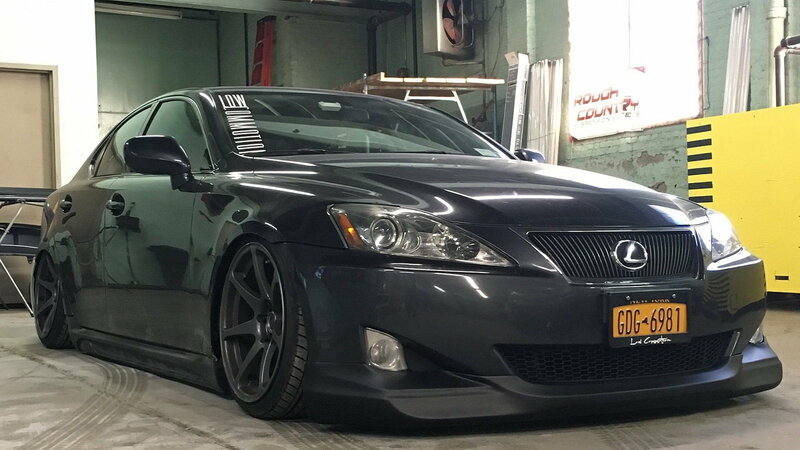 And with that, this low-riding Lexus was finally finished. Even better, the OP still has his beloved ride and enjoys showing it off whenever he gets the chance. Be sure and check out the entire build thread by heading over here! For help with your maintenance and repair projects, please visit our How-To section for more technical articles.